Bitter Lake Homes for Sale | See Bitter Lake Homes! Bitter Lake homes for sale can be viewed on this page. And, you can see details of Bitter Lake properties with their property features when you click on the home for sale. Also, the listings include all price ranges of homes in Bitter Lake, WA. Most of all, as your Shoreline realtor, I will work with you and show you only homes that meet your criteria. I want to find the best home for you! Bitter Lake has a very nice community center, click on Bitter Lake Community Center for more information. To the east of Bitter Lake, across Aurora Avenue N., is the neighborhood of Haller Lake; to the west, across Greenwood Avenue N., is Broadview; to the north, across N. 145th Street, is the city of Shoreline; and to the south is Greenwood. N. 130th Street is often considered its southern boundary, although some place it further south, at N. 125th Street, N. 115th Street, or even N. 105th Street. Directly east of Bitter Lake is Northgate, a desirable area with lots of amenities like the Northgate Mall, excellent bus service to downtown Seattle, and more. To see homes for sale in that area, please click on Northgate Shoreline Real Estate. An exclusive high-end area of luxury homes is directly north of Bitter Lake. This area, called The Highlands, contains the Seattle Golf Club, an historic private golf club. To see homes for sale in that area, please click on The Highlands Shoreline Real Estate. 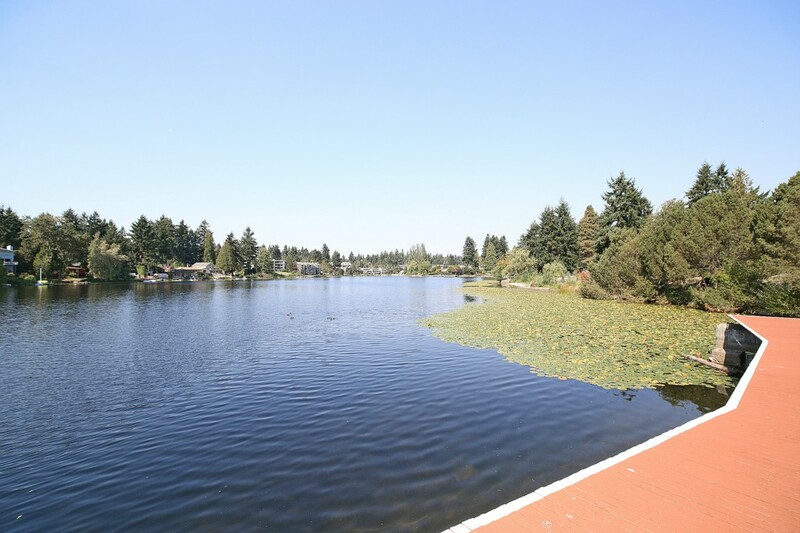 Another area with available homes in Shoreline, to the northwest is Innis Arden. This 534 home community has greenbelt reserves, a watershed park, a private beach ,and a community clubhouse with outdoor tennis courts and a pool! To see homes for sale in that area, please click on Innis Arden Shoreline Real Estate. Another really nice area with available homes in Shoreline, just to the north of Innis Arden, is Richmond Beach. This area has access to the Puget Sound with the public Richmond Beach. To see homes for sale in that area, please click on Richmond Beach Shoreline Real Estate.